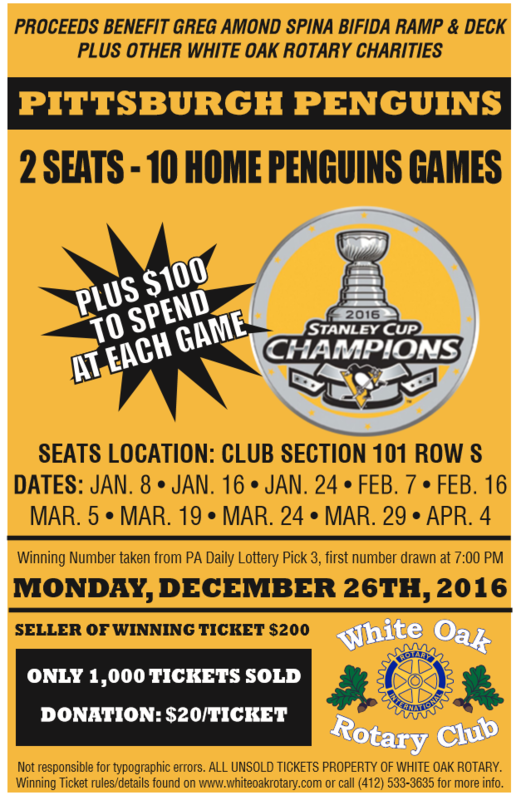 The Pittsburgh Penguins ticket raffle is going on now. The winner will receive (2) tickets to 10 different home games in Club Level Section 101, Row S and $100 to spend at each game. *Use the Buy it Now button below and a ticket will be scanned and emailed back to you.